The first Airbus aircraft produced at the Airbus A320-family Final Assembly Line (FAL) in Alabama has performed its maiden flight. The test pilots were accompanied on the flight by Flight Test Engineers Thierry Cros and Nick Picconi, and Ground Test Engineers/Cabin Specialists Alexander Gentzsch and Mike Johns. After performing test sequences at altitudes up to 31,000 feet, while flying in wide circles above the Gulf of Mexico south of Mobile Bay, the A321 landed safely at the Mobile Aeroplex at Brookley at 1:02 p.m. local time. The maiden flight lasted 3 hours and 26 minutes, during which the crew performed tests on the performance of the aircraft’s systems, engines and structure. More than 300 employees who work at the facility (which Airbus calls its U.S. Manufacturing Facility) cheered as the A321 took off. 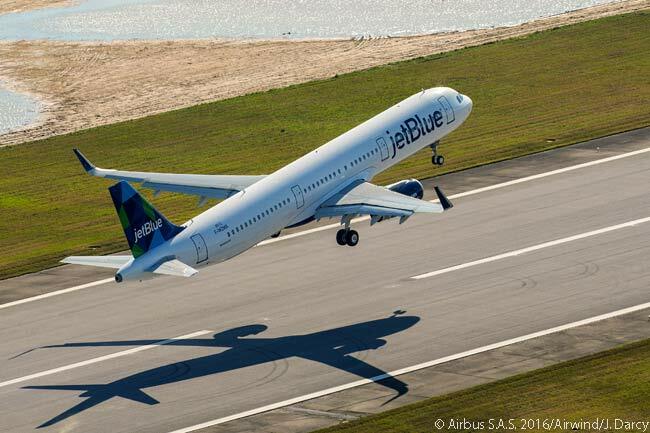 Following its maiden flight, the aircraft (which has the manufacturer’s serial number 6512) will undergo a few more weeks of final production testing before being delivered to JetBlue in the second quarter of this year. The second aircraft due to roll off the Mobile, Alabama final assembly line will be an A321 for American Airlines. It is also scheduled for delivery during the second quarter. Of the first 50 A320-family aircraft which will be produced by the Mobile FAL, 49 will be A321s. Airbus plans for the Mobile FAL to reach an assembly rate of 50 aircraft a year by late 2017 and to continue at that rate thereafter. However, in addition to its 116-acre U.S. Manufacturing Facility at the Mobile Aeroplex at Brookley, Airbus has secured rights to purchase another 116-acre plot of land adjacent to the existing site. 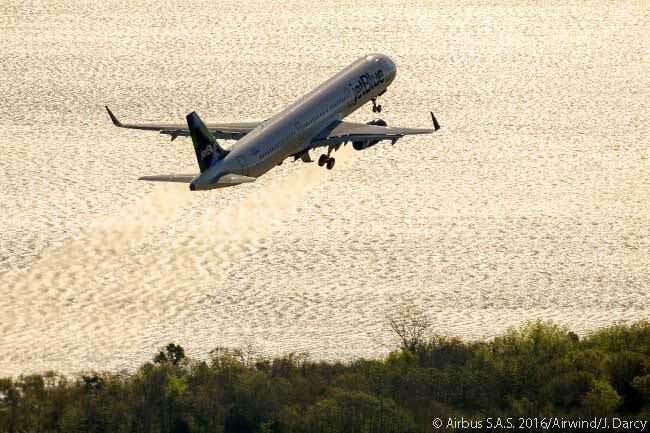 If the North American A320-family orderbook grows sufficiently for Airbus to want to increase production at the Brookley site, it can buy the second 116-acre plot of land. On it the company would construct facilities which would allow Airbus to increase annual production of A320-family jets at Brookley to 100 aircraft.